Save Money By Booking Your Own Travel . . . NOT!! One of the things that continues to amaze me is how many people insist of booking their own travel. I have said in the past, "Anyone who books their own travel is in the same boat as the guy who serves as his own attorney . . . i.e., he has a fool for a client." That doesn't mean that people who book their own travel are stupid. It does mean that they simply don't understand the booking process. To validate this theory I have begun asking "self-bookers" why they don't use a travel professional to book heir travel. Most of the people I have spoken with give a strong argument for self-booking based upon their underlying assumptions. It would be nice if these underlying assumptions were correct. The number one reason given to me by "self-bookers" is that they save money by doing it themselves online. The second largest group of self-booker believe that they are avoiding paying booking fees if they use Travelocity, Expedia, or even a travel supplier's own website. Sadly, both of these are false assumptions. The truth is one rarely saves money by doing their own booking and virtually never get the best bang for their buck. Keep in mind a few truisms about finance. First, "You never get anything for nothing." The second is like the first and states, "You get what you pay for," and the third is, "If it seems to good to be true it probably is." I'll bet you have used each of these expressions at some point in your life. the price is a good value or not. Price is not always, in fact seldom is, an indication of value. Price tells you about cost not value. I believe what most "do-it-yourself" bookers are trying to achieve by doing their own booking is getting the best value for their dollar. The fallacy is they equate price with value. That is, the cheaper the price the better the value. If you think about it for a minute you'll realize that while it sounds good it simply is not true. There is a relationship between price and value but it is not what you may suppose. Value is tied to your expectations. It answers the question, "What am I going to get for the money I spend and does it meet my expectations?" When you get what you want/expect for as good a price as you can then your value per dollar goes up. People who can't appreciate the quality sound of a Bose sound system are not getting value for whatever amount the spend on a Bose System. and explain what you want in a cruise or resort vacation. What level of service are you expecting? Talk about the kind of people with whom you prefer to travel. Do you like crowds? What do you want included? What are the best places to visit while in port? How much is your vacation budget? These and other questions when truthfully answered will enable a travel agent to find a cruise or land vacation that will give you the best value for your dollar. It may or may not be he cheapest cruise but it will be the best value for your budget. A good Travel Agent will know whether the price being paid is a good value or not in relationship to what you are buying. For example, if you want to book a cruise for an anniversary celebration. You go online and you find a booking site and you fill in the blanks (Date of travel, port of embarkation, destination and duration of trip and occasion) and hit the search button. 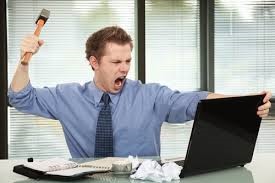 A page opens and says, "Please wait while we find your cruise vacation." After a moment or so up pops a list of all the cruises leaving from your selected port. Prices run for a 7 night Carnival fat $799 per person to a 7 night Azamara cruise for $2699 and about four other cruise lines between those prices. Which one is the best value? The answer is, the one that gives you the biggest bang for your buck and comes closest to meeting your expectations. That may not be the cheapest or the most expensive. The second misunderstanding is that you save money doing it yourself because you don't have to pay a travel agent. 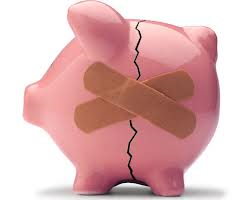 The truth is that you do not save money doing it yourself. How is that possible you ask? It's really pretty simple. Let's say you booked the $799 Carnival cruise mentioned above and you did it through a travel agent. What do you think the cost to you is going to be? If you said $799 you'd be right. 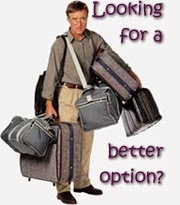 If on the other hand you book that same cruise through Expedia or Travelocity what would be your cost. If you said $799, again you'd be correct. The price is the same. The cruise lines build into their pricing and amount equal to about 17% of the price you pay less what they call NCF's for that cruise as commission because that is what they pay sellers of their cruises between 10-17% based upon volume of sales. Hence, since I am not a large volume Carnival Travel Agent they, not you, would pay me about $49 for that cruise. However, because Travelocity is a large volume seller of their cruises the would get about $83.30. I might add that this is also true if you use one of Carnival's Personal Vacation Planners. PCP and paid on commission just like a private travel agent or an online booking site. Regardless of how you book your cruise your cost is the same. You say "Wait a minute neither of those amounts equal the percentages you mentioned. That is correct. Because nearly all cruise lines subtract from the total cost of the cruise an amount they call non-commissionable funds (NCF's) the actual commission is much smaller than one might think. Commissions are paid on the remainder after NFC's are deducted. It is a bit more complicated than that but suffice it to say what is significant to you is that you will pay the same either way. BTW: If you book directly online with the cruise line (No agent, no PVP, no online booking company) you are paying the cruise line for the privilege of doing all the work. The commission amount as a part of the purchase price is on top of what the cruise line must receive to make their predetermined profit per cabin. So by doing it yourself on their website you are literally paying too much for your cruise vacation by returning the commission amount to the cruise line. Truth is most Travel Agents can almost always beat an online price for a cruise or packaged trip. For example, I received a call just today inquiring about a particular Carnival cruise that showed up on the online booking agencies page as $1093 for an inside cabin. Because I noticed where they lived I was able to offer them either that inside cabin for $749 or a balcony for the cost of that inside cabin they were considering. Either was they got more value for the money they spent. Travel agents really can and will save you money. However, I rarely try to beat the online price because I know you are looking for a special kind of vacation when you buy a cruise vacation. Truth is, you really don't want the cheapest available cabin. What you really want is the best value you can get for the money you have to spend and that's where your Travel Agent will prove to be invaluable. Working together we can get you a great cruise at a price with which you can live. 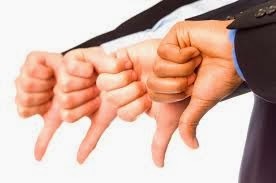 So, am I going to tell you not to book your own cruise or resort vacation online. . . no, I am not. 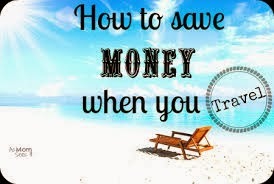 I am going to ask you, "Why you would want to book your own cruise or resort vacation when you could have the help of an expert without any additional cost." After all, booking is a mechanical process but selecting the right destination, duration and kind of trip for your needs at a price within your budget is another story. By the way, not all Travel Agents work in a Travel Agency Store Front Business. In fact some of the best Travel Professionals I know actually work from their home offices. I know, I myself, now do most of my work from my home. When looking for a quality Home Based Travel Agent look for the OSSN logo. This indicates that they belong to an association of professional travel agents committed to continuously improving their skills. Remember, the internet is for looking but the travel agent is for making a choice and then booking your vacation. I recently made mention on my Texas Cruise and Travel Facebook Page that I spent a few days in the St. Petersburg/Clearwater area of Florida as a guests of some of the area hotels and Rob Price of the Convention and Visitors Bureau. This region is located on the Gulf of Mexico side of Florida and is characterized by its white sand beaches which are some of the most beautiful in the country. I will tell you up front that if your looking for a Spring Break atmosphere this IS NOT the place for you. However, if you are looking for a great place for a family beach vacation it may well be one of the best kept secrets in vacation travel. Hotels, are well appointed and more importantly, as a rule are children friendly. You need to keep in mind that while you can have alcohol on the beach you may not take it off of the resort at which you are staying's beach or property. While in the area I had an opportunity to visit a number of properties that I believe would be perfect for a family vacation regardless of how your family is put together. All of these properties are located on Gulf Boulevard in St. Pete Beach and all of the properties I will mention have their own beach areas. So, whether your staying in one of the large properties like the Trade Winds or its more quaint neighbor, the Post Card Inn, your going to have access to a marvelous beach. Since God made the beaches I will not give any credit for them to the hotels. Just understand that all of the hotels have great beaches. The largest, and in my view the most upscale of the hotels was the TradeWinds Island Grand Beach Resort. It is a complete resort with all the amenities you would expect from a 4+ star hotel. But, because I have a grand niece who has Asperger's I was excited to from Karen Lumpkin that this resort welcomes these children. Not only are the welcome there but the resort provides programs for them as well. Here is a place where families with Autistic children can have a family vacation without being constantly concerned about that special needs child disrupting other guests. For me, this was a big plus. Great facilities, great food, and great service to go with a great beach. The Sirata has a great stand alone dinning facility called the Compass Grille. If it's on the menu I really do recommend the shrimp tortellini. Actually, while the menu is limited the food is excellent and you don't need to stay at the resort to eat there. A third resort that I was impressed by was the Post Card Inn on the Beach. It was not so much the facility itself that got my attention as it was the people working there. I could not help but notice as I walked the property a n umber of employees who were physically or mentally challenged. In speaking with Diane Dove I learned that it was part of the resort's employment policy to include on their staff a number of these kinds of people. This, for me was a big plus for me. It is the kind of social conscious thinking I'd like to see across the industry. The facility itself is not as up-to-date as the previously mentioned properties. The property calls itself a boutique property and I guess it is. However, to me at least, it appears to be more like a very large motel on the beach. Rooms are nice, comfortable, fairly well appointed and affordable. It is a great place for a very active family. Again, it has everything you need for a family beach vacation. In fact, of all the properties I visited this one had the best beach of them all. In fact, I had breakfast on the beach at the Post Card Inn and must say I was not disappointed. Truth is a tasted the food at all three of these properties and was not disappointed at a single one. All of them offer dine-in opportunities and have facilities (rooms) that allow you to do some meal preparation on your own. They all have pools and beach bars and food huts. Like I said, any one of these three properties would make a great family beach vacation headquarters. But there is more to the area than just beaches, as if that were not enough. There are museums such as the Salvador Dali Museum and the Chihuly Collection. Both make for an interesting break from the beach. There is one other thing that I recommend that you do as a special event during your stay in the area. I highly recommend the Starlight Sapphire Dinning Yacht. I did a two hour luncheon/site seeing cruise and was not disappointed. While the billing said luncheon the mean was more like dinner. It was outstanding and as good as any I've had elsewhere and I have done the dinner cruises in Galveston, New Orleans, Sydney and at half the islands of the Caribbean. The price was reasonable for the meal and excursion. 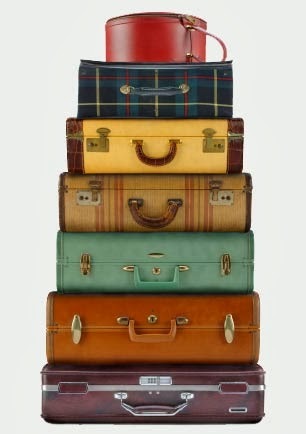 Are You A Chronic Over Packer? Does the guy at the left look familiar? He should because he is in every airport and on every cruise ship I've ever seen. I am one of those guys who can throw a few things in a back pack and I am ready to be off on my next adventure. However, for the past 48 years I have been married to a woman who defines the phrase "over packer." I have lugged large suit cases through airports all around the world. By definition an over packer is anyone who packs their suitcases with items the never use on their trip. This over packing is usually the result of too many "what if's." What if it rains; what if it turns cold; what is we get delayed. Over packers are not bad people. If anything they are worried people who are simply trying to cover all the possible eventualities, The trouble is you end up lugging around a bunch of stuff you never unpack let alone use. Today I want to share a few tips about packing for a trip. Naturally the length of the trip and the kind of travel you are doing will inform what kinds of things you need to pack. You'll pack differently for a cruise than an all-inclusive resort. You'll also pack differently for a road trip than you would a flight. I suggest that before you start to pack you consider the nature of your trip and create a packing list made up of the things you will need and cannot get at your destination. 1. However, regardless of the kind of trip I am taking I always start with a back pack. This is my essential ingredient and emergency kit. It will contain my basic medications and toiletries as well as a change of clothes including extra underwear. It will also have all my travel documents. Sometimes, instead of a back pack I will use a business style carry-on. By starting here you force yourself to think small and essentials. 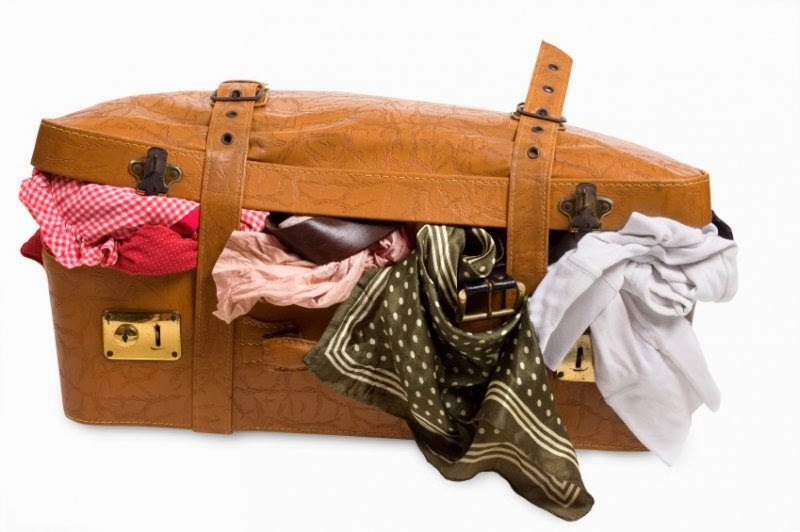 2.When packing your suitcase you should focus on things that can be worn more than once. 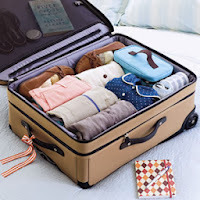 With the exception of formal wear the rule of thumb for packing is Only Pack Things That Can Be Worn More Than Once. If it can't be used more than once and it is not needed for a function leave it at home. Focus on packing things that can be mixed and matched and worn a few times on your trip. Try to keep most of your clothes within the complimentary color schemes. 3. Always Pack More Tops Than Bottoms. No one is likely to notice if you wear the same pair of jeans every day as long as you have a different shirt on the top. Try packing only one or two pairs of pants (perhaps a pair of jeans and a pair of dress pants) and then re-wearing them with different tops. 4. Ideally, you shouldn’t need to pack more than two pairs of shoes — one for walking/hiking/being active, and one for dressing up. Regardless, always limit yourself to no more than three pairs of shoes. But if you’re doing a lot of walking, it can be good to pack two pairs of everyday shoes (or boots for colder climates) in case one pair gives you blisters. Wear the most comfortable shoes on the plane and pack the other pair. 5. In our fast paced electronic age we need to question just how much electronic equipment is enough. Ask yourself, "Do you really need your laptop, tablet, digital camera, and smart phone on your trip? So many gadgets multitask these days that one or two should serve all of your needs. If you’re packing your laptop for a business trip, you might want to leave the tablet behind and use your laptop to watch movies or read e-books. Smart phones can connect to Wi-Fi and work like laptops for browsing the Internet and checking email — and a flexible keyboard can let you type as if you were on a real computer. Transfer your music to your phone and leave your iPod behind. These gadgets may not seem like they take up a lot of space, but they can add up when you factor in all the assorted cords and chargers. 6. Don’t Pack at the Last Minute! Plan all of your outfits ahead of time. Decide on one outfit per day (or per occasion, if you will need multiple outfits for each day). Don’t pack any more than what you need for each outfit. Last-minute packing generally leads forgotten essentials, and mismatched clothing. Start packing early so you’re not in a bind if a piece of clothing you need is dirty or you need to buy something for the trip. This also gives you time to trim down after you’ve started packing. Keep in mind that if you don’t wear it at home, you’re probably not going to wear it on vacation, either. So, leave behind all of those clothes that don’t quite fit, aren’t your favorite color, or you just don’t like. 7. Pack Half the Clothes and Twice the Money. I don't know who said it first but they sure nailed it. Lay out the clothing and cash you plan to bring on your trip. Now pack just half of the clothes and double the money. The point is that people often over pack and regret bringing certain items of clothing, but no one ever regrets bringing extra money. You really won’t need as many clothes as you think! 8, So now that you've packed you back there is one more step. Look through the things you have chosen for your trip and pull out all the "what if" items. This will probably reduce the items you take by 25%. Do you really need those extra shirts? Shoes? 9.Remember, you may not pack liquid or gel substances in your carry-on unless they are in individual containers of 3.4 ounces or less and enclosed in one clear, quart-size, plastic, zip-top bag per passenger. Any larger containers of liquids and gels must be packed in your checked luggage. So what's your packing tip? Share it in the comment section below.